Emerging T.O. : Maintenance Fees: The Cold, Hard Truth! 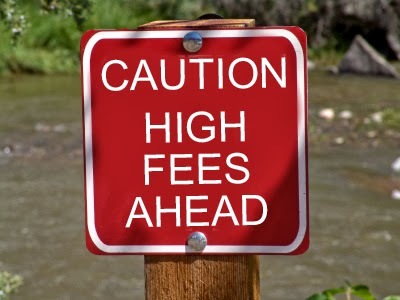 Nothing gets a bee in the bonnet of a condo owner more than the topic of condo fees. In fact, a good portion of the buyers and owners alike can be a little obsessed about how maintenance fees work (or don't work) in a given building. Condos fees are also a big concern for the buyer as well, and who can blame them? Maintenance fees make a difference to the purchase price. Simply put, condos with high maintenance fees generally cost less than ones with lower fees in a comparable condo building with a unit of a similar size. That's a huge generalization, I know. 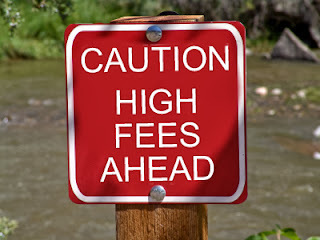 So, let me add one caveat: Some condos do warrant the higher fees they charge and some of condos with smaller fees are not necessarily great investments. Regardless, I can see why there is such a disdain for condo fees, though they are often misunderstood. Condos, like houses need repairs, need to be fixed and updated, and these things cost money. If you want your condo to run well, you need fees coming in. Also, you want to make sure you bring up these fees to have a healthy reserve fund. If money is required for a repair or an update, like replacing the smelly and stained carpet in the hallway, you'll need the funds to pay for it. 1. Brand New Condos. Don't be fooled by a developer telling you the estimated maintenance fees of a condo that is not even running yet. It's not the fee you will be paying a few years from now, once a condo is built and registered. When you are living in your unit or renting out to someone, the condo needs to build up a strong reserve fund. So, it raises the fees to do so. And fast. In many Toronto condos, fees can rise 20 -30%, even up to 50% in the first year of running and functioning like a condo. 2. Older Condos Have Higher Fees. I can be a big fan of larger condos, but they do have higher fees. In the olden days of condos, condos were built as a kind of Club Med where you can play tennis, eat caviar by the pool and have your concierge do your dry cleaning. It was like being in an all inclusive vacation deal at a five star hotel all the time. Well, pools are pricey to maintain and a top notch concierge needs to be paid. Plus, things break down in older condos. So, windows need to be replaced. Garages need to be repaired. Elevators break down. And in turn, maintenance fees go up. Newer condos, though tinier, have managed to bring down fees by offering less amenities. Keep in mind, though, that the older condos often include more in their maintenance fees like electricity and heating, and even cable. Newer condos, you pay for your own. And don't forget that that newer condo will become an older condo some day and require repairs. 3. Poor Management. Sometimes a condo is just run badly. Subsequently, money is not spent wisely or the management company doesn't do a good job. I have been seeing a few condo boards lately that fire one management company for on that does a better job. 4. Lousy Builders. There are some places that were just not built well. So, things start to break down a little sooner. The quality of workmanship has been rushed. Check the builder. Some have better reps than others. 5. Lawsuits. Generally if a condo is getting sued, that can mean pricey trouble. Because if the condo is getting sued, the condo owner are getting sued and will need to pay the legal bills. Any buyers should make sure they have their lawyer review the status certificate to see if anything serious is going on before they buy. Any lawsuits should be mentioned in the status certificate. With all that said, I want to be very clear that a condo with high maintenance fees is not a bad idea all of the time. There are some condos that justify a higher condo fees. As I often mention, older condos are bigger in size and need more maintenance, but you do acquire more space. Some smaller sized condo buildings have higher fees since they are not spreading the cost of maintenance fees through as many condo owners as larger condos. Fees may be less per unit for larger condos, but I still feel the investment in a boutique, smaller condo is a better route to take, even though the fees are a little higher. Unique spaces often have more cachet than your typical condo space. So, beware of the pitfalls of condo fees, but understand that it's not the only parameter to determine the worth of a building.